Paramount Pictures and Marvel Entertainment present the highly anticipated sequel to the blockbuster film based on the legendary Marvel Super Hero “Iron Man,” reuniting Director Jon Favreau and Oscar® nominee Robert Downey Jr. In “Iron Man 2,” the world is aware that billionaire inventory Tony Stark (Robert Downey Jr.) is the armored Super Hero Iron Man. Under pressure from the government, the press and the public to share his technology with the military, Tony is unwilling to divulge the secrets behind the Iron Man armor because he fears the information will slip into the wrong hands. 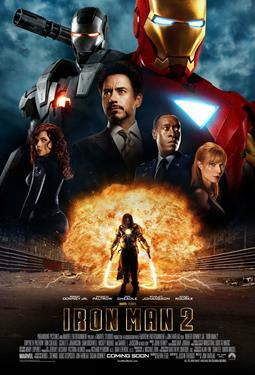 With Pepper Potts (Gwyneth Paltrow), and James “Rhodey” Rhodes (Don Cheadle) at his side, Tony forges new alliances and confronts powerful new forces.